But I chose "Bright Blossoms" (still available as of today) and "Another Great Year" from the Occasions catalog. Here's a sneak peek of the cards we'll be doing if you choose to join me! I'm using up some of my retired or soon to be papers with these projects. I've always loved the clean look of this stamp set and found some great cards to CASE on pinterest! Hope you can join me! June 1 and 2 are the dates--cost is $20 and it includes the stamp set and card makings. Already own the stamp set? 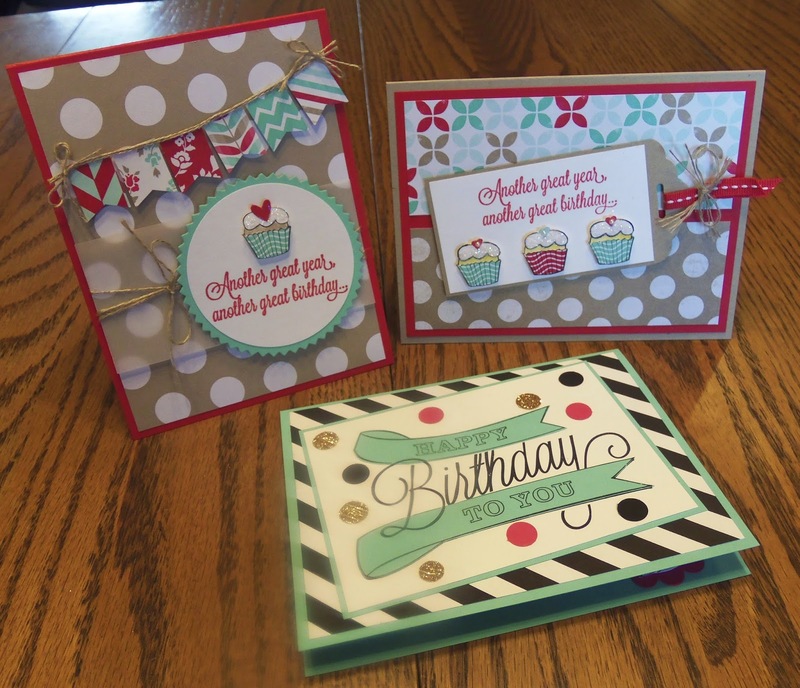 You have 2 options---choose a comparable set to order or make the cards for $2 each.